It also compels the judicial system's. Last month, after years of appeals, an evidentiary hearing was held in Wilmington, NC. to determine whether or not the courts should reconsider MacDonald's case. It's not yet clear what the result of the recent hearings will be. But judging from the evidence presented, MacDonald is just one of several people involved with the original 1979 trial whose reputation is in need of serious reconsideration. THE NEWEST INSALLMENT of l'affaire MacDonald came about because in April 2011 the U.S. Court of Appeals for the Fourth Circuit acknowledged that exculpatory evidence may have been withheld, suppressed, or destroyed prior to MacDonald's trial. The case was thus remanded back to the original district court. Just as at the original trial, this new hearing was fated to be a North Carolinian reenactment of Rashomon. It was a foregone conclusion it would be impeded by witnesses who were either confused, lying, or relying on memories dimmed by time. And there was also the fact that some key players are no longer even alive. There was, of course, MacDonald himself, who entered the courtroom every day in the company of two Federal Marshals, looking a very old 68. Wearing pressed prison khakis with a pale logo on the back (INMATE—NEW HANOVER COUNTY), his hair is thinning, and all white. The elfin Judge Fox looked like an Olson twin if she had a white mustache. Whenever he spoke (which was seldom) it was in a quiet voice, even with a microphone. He never cut off meandering lines of questioning, but was efficient when it came to watching the clock. He announced, with precision, all recesses and lunch breaks. Sitting in the gallery was MacDonald’s wife since 2002, Kathy, who looks quite like Leslie Stahl. I have long thought there was something creepy about women who write to, then marry prisoners they‘ve never met. The motivation for such an action eludes me. Is it a kind of misdirected desire for reflected “fame”? An inclination to stick up for an underdog? Kathy MacDonald, however, in no way fits the image I had of these women; she seems neither desperate, nor crazed. In any case, it is really to her that MacDonald owes this latest—and last—legal round. Kathy MacDonald’s persistence at pursuing, then persuading people with likely exculpatory information to come forward to testify at the Court of Appeals has clearly paid off. The prosecutor from 1979, James Blackburn, was also called as a witness. After the MacDonald trial he climbed the lawyers' ladder to become First Assistant U.S. Attorney for the eastern district of North Carolina, then joined a prominent law firm. But things went south for him starting in 1993, when he was disbarred, tried, and found guilty of fraud and obstruction of justice for falsifying his files, forging judges' signatures, and embezzling hundreds of thousands of dollars of clients’ money. (His lawyer—Wade Smith, incidentally—managed to get his 103 year sentence reduced to three years of work release.) His current incarnation is that of a southern-fried Tony Robbins. He is a motivational speaker using his own downfall to preach the gospel of career resurrection. The slogan in his promotional material is "Winning at all costs!" It is an open question—indeed, one directly relevant to the latest proceeding—whether he was adhering to this mantra in prosecuting Jeffrey MacDonald four decades ago. 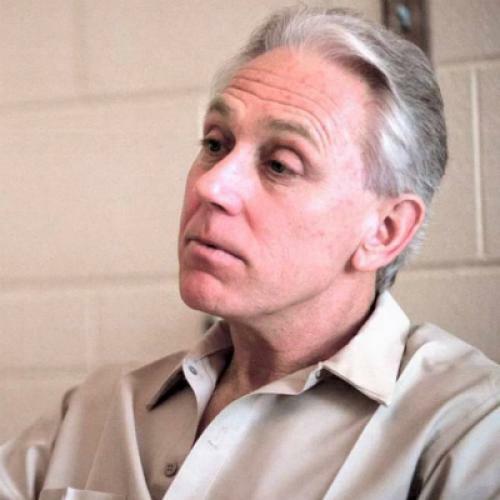 It quickly becomes apparent that the government has a great deal invested in upholding Jeffrey MacDonald's conviction. It's not only justifying the money already spent on it, but saving face. Over the course of the hearing the government was forced to admit a stunning lack of professionalism in the conduct of the original investigation and trial—in the laboratory, at the crime scene, and in the courtroom. At stake is the government's claims to basic competence. And that is why government lawyers are now reduced to falling back on the old bromide that a few bad apples from decades ago didn't spoil the barrel, i.e., their case. THAT ARGUMENT HOWEVER is not helped by the appearance of the journalist Joe McGinniss at the hearing. It's impossible to ignore the fact that it was his book, Fatal Vision, that has served as the government's narrative for this case. Disclosure: I, unlike McGinniss himself, hold him in very low regard. I was reminded why when I noticed he was sending out promotional Tweets in the run-up to his testimony at the hearing. The defense portrayed McGinniss as manipulative and duplicitous. Williams talks about how MacDonald cooperated with McGinniss' book, and asks the author why he misled his subject, telling him he believed in his innocence. McGinniss, morphing from a raconteur's story-telling voice into a harsh and accusatory tone, answers, "He was trying to con me from Day 1. He was a psychopath—and I didn't know he was one." (Here, MacDonald, who had been quite non-reactive throughout, begins tensing his jaw muscles.) The author says he "played along so he could learn more about the psychopathic personality" and didn't even bother to ask certain questions because he knew he would be lied to. The cross-examination seems to shake McGinniss; by the end of it he is neither preening, nor glib. Williams' last question to the author was: "Would you agree that no one has profited financially off this story so much as you?" McGinniss said that was probably true. Leaving the courtroom, Rick Thosen, who knew MacDonald back from Ft. Bragg, said to me, "The government may have incarcerated my friend, but Joe McGinniss destroyed him"
WHATEVER THE JUDGE decides about this snake bit case, odds are that it won't end anytime soon. The government will almost certainly appeal if MacDonald wins. If MacDonald loses, he will appeal, encouraged by the fact that the recent 4th Circuit opinion was relatively friendly. Everyone will have to wait until 2013—or later—for a definitive answer. Meanwhile, Joe McGinniss' tweeting continues. He boasts about the reissue of not only Fatal Vision in e-book form, but also the book that made his name, The Selling of the President. While he waited to give the last of his testimony, McGinniss tweeted: "#Fatal Vision hearing wraps tomorrow. @joemcginniss concludes testimony. Whole thing an utter farce, waste of court time & taxpayer $." The Fatal Vision hearing? What a narcissistic, damning Freudian slip. It's a tragedy to think that the vindication of a man who has spent most of his life behind bars hangs in the balance.